I replaced original parts that had become worn on my 19 year old 2 stage snow thrower. Jacks Small Engine stocked each part that I needed, at a fair price. I was given a choice of, and ordered both OEM and aftermarket parts. All were good quality parts and fit perfectly. Their website is user friendly & their service and prompt shipping was outstanding. If you had not been able to identify my obsolete noma snowblower, I may never have gotten the right belts. They are on,they work perfect, good job! This review is for both belts. Quality,value and price are always a good thing. It was the right part for our snowblower and fixed us right up. Thanks! Exactly as described. Thanks Jacks! I rate this product 5 stars. Belt worked fine. Good price and very fast delivery. PART FIT EXACTLY AS NEEDED. GREAT PRICE, RECEIVED MY ORDER VERY QUICKLY. I WILL DEFINITELY ORDER FROM JACK'S AGAIN. Exactly what we needed. At a reasonable price. 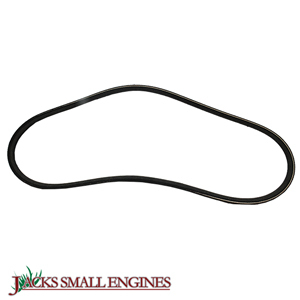 Ask us about the Stens 265525 OEM Replacement Belt. Please no repair questions. Your Q&A may be posted to Jackssmallengines.com to help other shoppers, like you, with their purchasing decisions. Thank you.